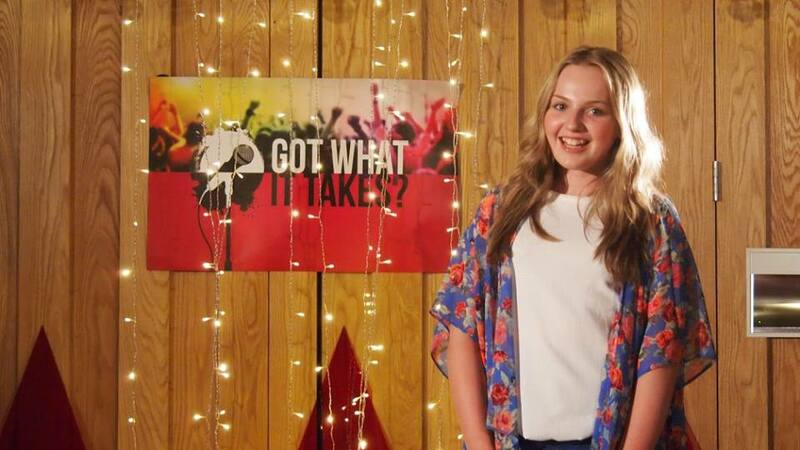 Surrey singer Lily Moram is one of the UK’s eight talented contestants chosen to take part in new CBBC TV series ‘Got What It Takes‘ and will be chatting to Dan and Mark on this weeks Sunday Breakfast Show as well as singing LIVE!! Lily and her mum Lisa will be returning to our studio with Sunday Breakfast hosts Dan & Mark to give us an insight into the BBC show, as well as giving our listeners an exclusive LIVE performance of a song that Lily will perform in a future episode of ‘Got What It Takes’. ‘Got What It Takes’ is a new show hosted by X Factor finalist Lauren Platt, devised for CBBC featuring eight talented 11-14 year-old hopefuls, the contestants, and their mothers who are also the judges! They all undertake challenges against one another in a musical boot-camp, each one hoping to be crowned the star of the show and be given the once-in-a-lifetime prize of performing at BBC Radio One’s Big Weekend 2016. The hopefuls mothers also play a big part in the show as they are set various challenges to give the winning mother’s child another chance of showing off their talent at the end of an episode. After a raft of competitive stages, the destiny of the remaining young hopefuls is in the hands of their mums as they vote for their favourite singer; they must stay on top of their game to win the ultimate opportunity of performing at Radio One’s Big Weekend! We are a Leatherhead based community radio station serving the Surrey Hills. Launched in June 2014, the station is fully run by volunteers with a passion for a range of musical styles and vocally supporting local organisations.